When I found out that The Fault In Our Stars (hereafter known as TFIOS) would be premiering during our exams, I did a little fistpump. Perfect, I thought, I can watch it for a fraction of the price when I go home! (Movie tickets in Tassie are $15, which translates to about RM45. Yikes.) Then I found out that it'll only premiere in Malaysia in freaking September. This would not do. Rationalising it with 'It's an after-exams treat! ', I gathered a bunch of friends and we went to watch it the day before I flew home. Top tip for fans of the book who are super excited to watch TFIOS: Don't get too excited! That was my first mistake. I thought since, y'know, John Green himself was so heavily involved in its production, the movie would be at least as good as the book. It'll be like Perks, I told myself, stocking up on tissues (I'd never been so excited to bawl my eyes out in my life).Tissues prepared, I then proceeded to equip myself with every minute detail of the book by rerereading it two days before watching the movie. That was my second mistake. Why do I never learn? You'd have thought that after having ruined countless Harry Potter movies for myself, I'd have stopped (re)rereading books right before watching their film adaptations. I don't know, I somehow feel that it's my duty as a fan to 'police' the movie to see how true it is to the book. It's the best when the quotes are completely identical (I recite them along with the actor/actress), but when they completely change some parts, I feel horribly cheated, and there's almost that swooping sensation you get when you miss a step on the way down a flight of stairs. Am I overreacting? I am probably overreacting. Anyway. Overall, I thought it was a good movie. Probably not something I'd watch over and over again, but not something I regretted paying to see, either. Friends who hadn't read the book (and therefore hadn't known what was coming) enjoyed it a lot more than I did, so it's probably better than I say it is. There weren't any major plot changes, the movie had the same general feel, and the characters were just right -- the whole thing was more or less true to the book. That's just about the best compliment you can give about a film adaptation of a book, and this movie warrants it. If nothing else, go see the movie for Ansel Elgort. He plays an excellent Augustus, just the one I'd pictured in my mind. I remember having my doubts when it was revealed that he would be playing Augustus ("I thought Augustus was supposed to be good-looking!" I'd cried at the portrait photo on my laptop screen), but when he appeared onscreen, I knew that I would leave the cinema with a massive schoolgirl crush on him. He'd exuded a sort of caveman-y vibe in the photo I'd seen due to his sorta large browbone, but when he smiled -- goofy, too-big-for-his-face, Augustus smiled -- I could practically hear choirs of angels praising God for blessing him with a smile like that. Oh, Ansel Elgort. Oh, Augustus. On a less frivolous note, some parts were a little hard to watch. Because cancer. And deterioration. And possible imminent death. I can't say more without giving things away, so I'll put the spoilers below. To wrap the spoiler-free part of this post up: Go watch the movie, don't study the book beforehand, bring tissues, be prepared for massive feels. I think I need to rewatch this without having rereread the book days before. Anyway. As if this wasn't obvious enough. Ansel Elgort's good looks aside, he really was the perfect Augustus. Everything from his speech to the vulnerability we got but a glimpse of (see Things I didn't like about the movie), everything was just right. I remember watching a YouTube video in which John Green was gushing over Ansel's half-smile (among other things), how it was just like he imagined. When the very person who created the character gushes over the person who was chosen to play it, you know the casting director's done well. Good job! When people think of cancer patients, most bring to mind a skinny, sickly, pasty-skinned person with no hair, an IV drip inserted into their forearm. But as TFIOS shows us, this isn't always the case. They may have a full head of hair, their cheeks may be rosy as anything, and -- until the end stages -- they may appear to be completely healthy...like Augustus had. The movie also gives viewers a brief insight as to what it's like for cancer patients (frequent scans to check for either progression or relapse, loss of independence, 'cancer perks') and their families. The latter especially isn't something most people think about, so I'm glad it was an important theme in the movie. I don't even know what to say. This part was perfect. The whole situation was so haphazard, with Hazel in her pajamas, pretty much, and her having to help newly-blind Isaac to his seat before reading her eulogy, and Augustus just sitting there in his wheelchair, pleased as punch that the two people he cared about dropped everything to come to The Literal Heart of Jesus to eulogise him. It was because of this, I think -- the disorderliness and how casual everything was -- that the rawness of Hazel's eulogy shone through. It was the first time we saw Augustus cry. Also, I really love the infinities analogy. Hazel's nails were painted a really dark blue in certain scenes. This was important because Augustus mentions it in the eulogy he wrote for her. It was such a small thing, but it made me really happy, because it showed that they paid attention to detail. Okay, I realise there were some things that had to be taken out in the interest of time. But some of those were (I feel) important! For example, was there even any mention of Caroline Mathers? 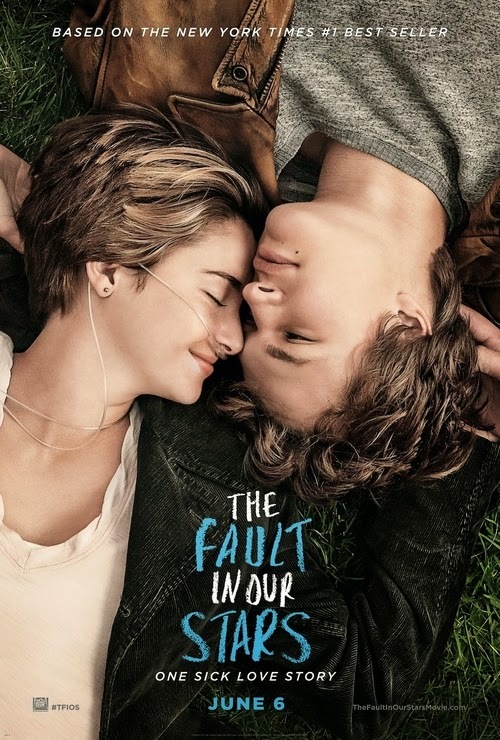 She is important, because she is both the reason Augustus stares at Hazel all throughout support group and the reason the line "Your trying to keep your distance from me in no way lessens my affection for you" hits so hard (was "It would be a privilege to have my heart broken by you" in the movie?). Also, the foreshadowing of Augustus' relapse right before they left for Amsterdam? Nada! Leaving stuff out, I can take, but outright changing things really works me up. When they're on the way to the airport for Amsterdam, Augustus does not show up posing through the sunroof of a limo. He is crying and raging at his parents, the reasons behind which we find out later. 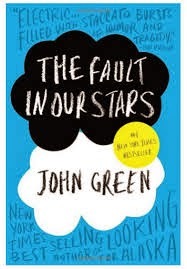 It also irked me that they didn't keep Augustus' eulogy for Hazel/letter to Van Houten exactly as it was in the book; however, it was still really good, so I'll let that go. Oh, and Oranjee. They were meant to be sitting outdoors, and I'd pictured an inky blue sky with soft orange lights and that 'confetti' raining down all around them; when the waiter sat them at a table indoors, I gave an indignant gasp. That would've been a beautiful scene! Especially since they moved Augustus' dramatic proclamation of love there instead of on the plane! I felt that it was way too rushed and too much was taken out. In the movie, we see how Augustus loses his independence (with the wheelchair, as well as the gas station visit that went horribly awry), but we don't see how he loses his dignity. Augustus' deterioration in the book was important to me, because it shows how cancer changes and sometimes breaks people, even people as strong and confident as Augustus Waters. He was supposed to have long blonde hair that covered one eye, his glass one. He was supposed to have glasses that made his eyes look unnaturally huge. He was supposed to be skinny and have a(n eventually ex-)girlfriend who was out of his league. Instead, Isaac has short, black hair and hipster glasses, and looks kinda like a geeky cool kid. What even. This is not book Isaac. All that being said, I did like the movie, and writing this post has made me want to watch it again. Not just for Ansel Elgort, either. I mean, just watching the trailer to get stills for this post made me tear up -- I must be some sort of masochist. "It's a good life, Hazel Grace." Albeit a short one, right? Excuse me while I get a tissue.